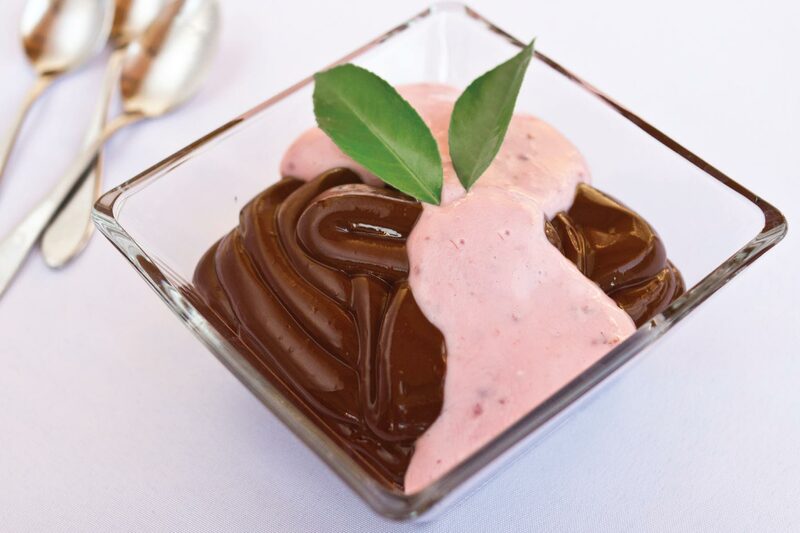 Chocolate Pudding – Ornish Lifestyle Medicine™ Approved! Into a medium sized bowl, push the silken tofu through a sieve to mash it. With a whisk, blend in the maple syrup, water, stevia and salt. With whisk, gradually fold and stir in the cocoa powder. When the cocoa powder is well mixed into the tofu and maple syrup, transfer it into a food processor or blender with a spatula and process it until it is completely smooth and creamy. Add the vanilla gradually and to your taste, at the end of processing, because vanilla extracts vary widely in concentration. The sweetness of the pudding can also be increased at this point, according to your taste. Top or mix in with pudding ¼ to ½ cup of fresh raspberries.